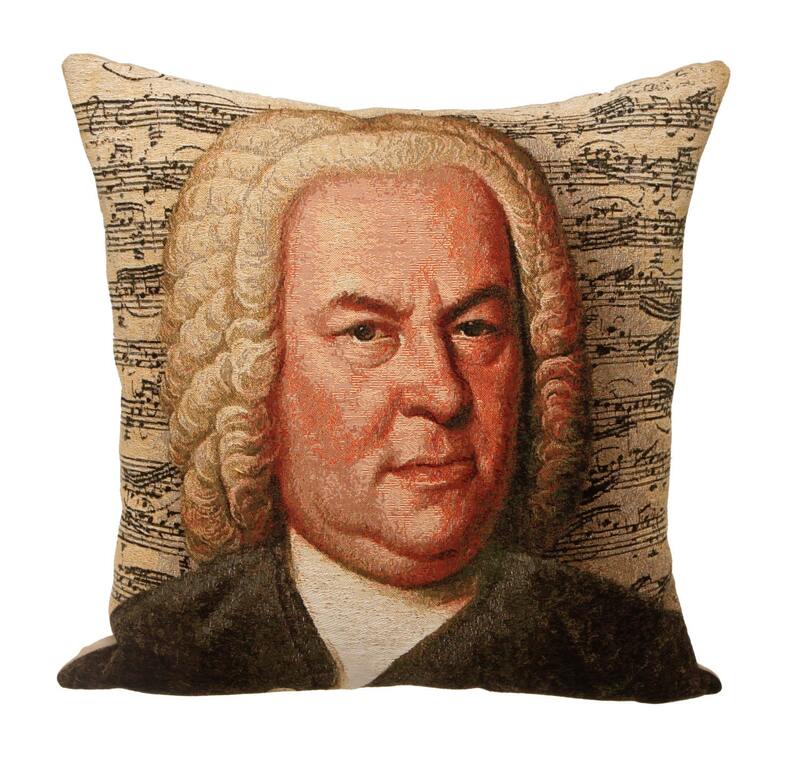 This Museum Collection gobelin cushion cover shows a portrait of Johann Sebastian Bach (31 March 1685 – 28 July 1750) was a German composer and musician of the Baroque period. He enriched established German styles through his skill in counterpoint, harmonic and motivic organisation, and the adaptation of rhythms, forms, and textures from abroad, particularly from Italy and France. Bach's compositions include the Brandenburg Concertos, the Goldberg Variations, the Mass in B minor, two Passions, and over three hundred sacred cantatas of which nearly two hundred survive. His music is revered for its technical command, artistic beauty, and intellectual depth.